Six Grenadian media workers left the island on Saturday for a one–week trip to China, where they will get exposure about the development of Chinese media, and at the same time, visit media houses where they will observe the impact of technology on Chinese media landscape. The delegation is led by Hamlet Mark, with Sophia Phillip of WeeFM Radio, Anisha Samuel of The Grenadian Voice newspaper, Carrema Lewis of the New Today Newspaper, Johnson Richardson of the Grenada Informer, and Photographer Kelon Francique. 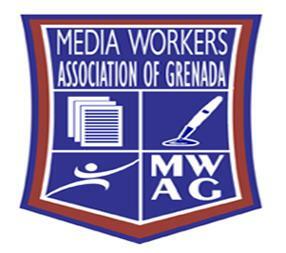 President of the Media Workers Association of Grenada, Shere–Ann Noel was invited to lead the delegation to China, however permission was not granted from her place of employment to do so. A request was made to postpone the trip to a later date in 2015, but the Chinese Embassy contacted Mark who agreed to lead the delegation to China. The trip is made possible with the facilitation of H. E. Ou Boqian, Chinese Ambassador to Grenada, and is the second batch of local media persons to visit China in 2014.